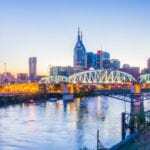 NASHVILLE, TN — Nashville-based financial services company Advance Financial was named a 2016 winner in the One Planet Business and Professional Excellence Awards. The company was recognized in two categories, at the Gold level for Corporate Social Responsibility (CSR) Program of the Year and the Silver level for Most Customer Friendly Company of the Year. The One Planet Awards honors business and professional excellence in organizations around the world. Advance Financial was honored for its approach to customer service and the successes of its CSR program during 2016. The company takes a human approach to assisting patrons, encouraging each agent to know their customers on a personal level. Because the company makes the customer experience a top priority, Advance Financial has also been named Company of the Year by The DiJulius Group and is often ranked as a national leader in customer service. The company is also committed to community service. In 2016, Advance Financial volunteered more than 1,200 hours, serving a wide variety of organizations and charities. In total, the company contributed more than $276,000 to Tennessee communities through the Advance Financial Foundation. Additionally, as an investment in the future success of the Foundation, the company sent their Vice President of Community Outreach, Shantrelle Johnson, to earn her Corporate Citizenship Practice Certification at Boston College – a designation which only 2,000 people worldwide possess. Advance Financial, founded in 1996, is a family owned and operated financial center based in Nashville, Tenn. The company currently operates more than 70 locations throughout Tennessee and employs more than 600 local representatives. By focusing on a wide variety of financial services – including wire transfer, bill payment, unlimited free money orders and FLEX loans – they are committed to building long-lasting, strong relationships with every customer. Advance Financial recently earned an A+ rating from the Better Business Bureau and was named to the Inc. 5000 list of the fastest-growing private companies in the country for the fifth year in a row. For more information visit www.af247.com. One Planet Awards recognizes companies for their business and professional excellence. The One Planet Awards honors are currently conferred in category sections which include outstanding individuals, executives, teams, new products and services, PR, Marketing, and Corporate Communications, and organizations from all over the world. Learn more about the One Planet Awards at www.oneplanetawards.com and participate.